Venezuela has a 100% automated voting system. Elections in Argentina and Colombia are taking place between October and November, in close proximity with Venezuela’s parliamentary elections (December 6). This reactivated the debate about speed in the delivery of electoral results in the last one. 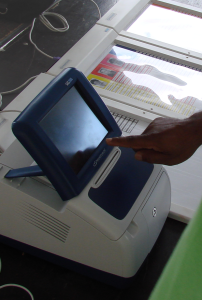 During the last Parliamentary elections (September 2010), the National Electoral Council (CNE) retained the emission of the first electoral bulletin for eight hours after closing the polls. At that moment there was harsh criticism over the fact that although Venezuela has an automated voting model, results were delivered much later than nations with manual voting and tallying. This apparent contradiction sparked a number or rumors, but has also brought deep analysis and the formulation of theories linked to the strong political friction that Venezuela has been suffering due to the polarization it has been experiencing for more than a decade. However, when it comes to such a critical element as the results of an election, it is fair to conclude that the reasons delaying the presentation of vote counts in Venezuela have always been of political and legal nature. The conclusion is based on three elements that have an effect on the delivery of results: the closure of polling stations is not uniform; the CNE’s decision of only revealing the tally when the trend is irreversible; and, most important, the fact that consultation with political actors takes place before diffusion. 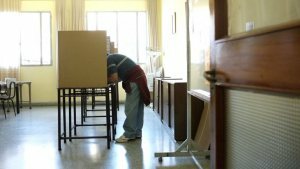 Normally, the electoral authorities announce that results will be presented three hours after the closing of the polls. However, the effective closing time is not the same across the country, because the Law mandates that even though the end of process is announced, voting must continue in those polling stations where there are still voters standing in line. Therefore, the moment when most of the results begin to be transmitted is uneven. Another aspect that affects time is the fact that CNE only delivers the tally when there is an irreversible trend, despite the fact that the system is capable of showing data transmission in real time. In this case, the December 6 election is an event for local constituencies, and for this reason a higher number of votes is needed to achieve an irreversible trend than in national elections. In other words, these are elections that are decided over a smaller amount of votes. Even the votes stored in a single voting machine may change the results of a constituency. For example, in 2010, Ricardo Sanguino (PSUV) won at circuit 3 of the Táchira state by only 90 votes. This situation also has an effect from a different standpoint, as authorities have been known for releasing results when most posts have a firm trend and not when only some of them have reached it. In other words, while in other countries seats are disclosed as their trends become irreversible, in Venezuela this is only done when most or all of them have become so. The third aspect that affects the delivery of the official bulletin is the fact that before disclosing results in public, the CNE shares them with political actors, so that they can compare them with their own numbers. In Venezuela, witnesses of political trends receive copies of the tally reports printed at each polling center. All these events reveal that in Venezuela, politics are challenging the voting system’s capability of offering timely and fast results. There are other factors to keep into account in this occasion, which are not related to e-voting: the country’s socioeconomic instability and the tension generated by surveys that for the first time show the government at a disadvantage. However, pressure from the political groups themselves and from voters in future events may lead the country to gain access to real-time broadcasting of results, something it is surely capable of fulfilling. On November 22, Argentina experienced something never seen before: a presidential runoff (the first time this could have happened, it didn’t because Carlos Menem quit his candidacy). However, this was not the only distinctive element of this election. This highlight was fueled by other novelties like the second presidential debate in the democratic history of the country, and the fact that e-voting has been positioned as an issue worth discussing during the campaign. In fact, due to the poor performance of the manual tallying during the first electoral round—the bulletin was six hours late due to the narrow difference in results—, and the scandalous election in Tucumán, which was declared void due to fraud and then declared valid, automation gained force as an electoral issue. This topic was first addressed by the two candidates to the presidency, and also by the third political force led by Sergio Massa. On the other hand, “Massism” aims at a transformation of legal administration in several regions throughout the country, and in such reform e-voting plays a prominent role. For example, in Buenos Aires, the movement champions the modification of the voting system to give way to electoral technology. Even the Commission for Political Reform expects to debate the automation project before the end of 2015. In Argentina, several electoral models coexist, as each province is free to choose and manage its own electoral system. Therefore, multiple ballots (one ballot per political force) are used in the national elections (and most provincial elections), but at the same time, a single ballot is used in Santa Fe. 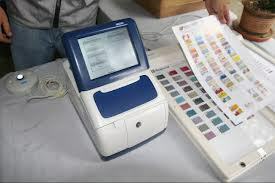 In Salta and Buenos Aires, the Single Electronic Ballot (BUE) has been implemented. This automates tallying only. Some municipalities in Córdoba tested successfully this year a voting system that automates all of the essential phases of an election. In light of this diversity, the fact that e-voting is under the spotlight of electoral debate is proof of the importance granted by political forces to the democratic obligation of defending the people’s intent. Until now, Argentina has suffered the many shortcomings and flaws of manual voting, but new leaders are now poised to take on the challenge of modernizing the electoral system of this country. Just as each country has its own characteristics, reflected in its traditional music, food, dance, and other cultural expressions, it can be said that in the electoral realm, nations also have their own peculiar aspects that obey to its political, social, and economic terms. In the case of Venezuela, when it comes to elections, attention is usually centered around solely political topics every time an election approaches. This is understandable, keeping in mind that this is a country that has been experiencing a high level of political polarization for more than a decade. Unlike Argentina, for instance, where there is strong concern over the way votes will be tallied during the presidential runoff that will be held in a few weeks, in Venezuela debates are not associated to concerns related to electoral guarantees or the system’s security. Criticism from political actors is rather centered on the bias or lack thereof of the National Electoral Council (CNE) and the use of state resources in campaigns, among other issues. In spite of the fact that the electronic voting system is not at the center of the discussion, it should be noted that this country holds 17 different audits that guarantee the conditions demanded by an election. Members of all political parties participate in these audits. In a strictly technical sense, Venezuela has a robust system that has become part of its electoral culture. Voters, political parties, and governmental bodies are fully knowledgeable of the system. Despite the conflicts there are, there is no question about how votes are counted and processed. It seems that the task still pending is the improvement of the environment in which the act of voting takes place in order to elevate the credibility of elections. What mechanisms of international observation to use, how to regulate electoral campaigns, how to avoid the use of state resources—these seem to be the problematic questions in Venezuela. This is part of the electoral culture that still needs being worked upon.